The observatory has the objective of maintaining a high level of renovation and to make available opportunities for companies’ growth and development. The observatory interest areas are: technologies, standards and laws, R&D funding opportunity, quality, security, safety, environment. The center provide consultancy services to economic operators to guide them toward regulatory compliance and system in order to support the Customs Agency Audit and obtaining the AEO status. Scheduling of shipments for freight companies. The service is targeted to companies that collect the freight transport demand by customers and offer cargo service by means of container. The objective is to compose in an optimal manner the container, maximizing the demand served and minimizing the number of containers used. The service is designed to logistics companies (companies terminal operators, transport companies of goods or persons) that operate in a context h24/24 and g7 / 7 and aims to introduce optimization techniques in the balanced composition of the personnel’s shifts. The service is targeted to Distribution Centers that supply supermarket chains of GDO. The service is intended, in particular, to DCs that operate "cross-docking" mode, to reduce or eliminate the stages of storage of goods. Business consultancy using simulation for the representation of scenarios and to perform what-if analysis. The service is targeted to companies producing goods and services that pursue the analysis and the subsequent reorganization of its activities in order to improve operational performance. The service is targeted to companies that needs to optimize resources related to warehouse management through innovative technologies based on new algorithms. 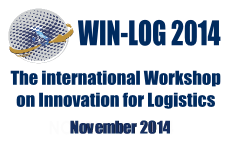 knowledge management, business analytics and knowledge discovery in the field of logistics. The service is targeted to logistic and transport companies to offer knowledge management, business analytics and knowledge discovery services. • Events (workshops, scientific conferences, fairs etc.) organization and participation.